OK, you’ve worked out what’s happening and what you’ve potentially got to offer someone else taking over, a great start! You’ve decided to continue working on your “Push” Business Model by exploring options, so what next? 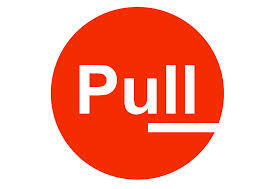 What about looking at how to get your “Pull” Factor back,to further leverage the new business model? By going through the analysis of where you’re at in your consulting world means that it may/should have changed dramatically, as discussed in the previous weeks posts. You have played your client relationships beautifully and the work is pouring in. Time to look at how to get your “Pull Factor” back (or ignited in the first place!). Especially given that the first phase of development has been all about “Push”. Where Consultants used to be about winning work, delivery, systems, processes, structures and hierarchies, they are now emerging as inspirational, creative-thinking, consultative and effective business “partners”. With movement from the “I” to the “WE”. Given the marketplace continues to crowd however, information overwhelmed clients (that are not your clients – yet) are always looking for the next best thing to apply to their organisations. This is where the revived, re-energized, revitalised, refocused YOU come in. Generate demand so you have a waitlist! This is about taking your story to the greater market, by sharing this new way of being a Leader in business and life.